Background/Purpose: The risk of herpes zoster (HZ) infection in patients with rheumatic disease is 1.5 to 2 times that of the general population. The 2012 ACR Treatment Guidelines for rheumatoid arthritis (RA) added HZ vaccination as a recommendation in accordance with CDC guidelines. Studies have shown HZ vaccination rates among RA patients ranging 1%–21%. We assessed HZ vaccination rates based on documentation in an academic practice with a focus on location of primary care provider (PCP). Methods: A retrospective chart review of 639 RA patients (one-time ICD 9 code 714.0) seen by physician rheumatology providers from December 1, 2014 to June 30, 2015 was conducted. 50% of all eligible patients per provider were randomly selected for chart review. Patients with RA age ≥ 60 were included. Exclusion criteria were: 1. age < 60 2. biologic therapy 3. prednisone ≥ 20 mg/day for ≥ 14 days; MTX > 0.4 mg/kg/wk; azathioprine > 3 mg/kg/day 4. ongoing chemotherapy or radiation OR cancer remission < 3 mos 5. immunodeficiency 6. solid organ transplantation 7. HIV patients with CD 4 count < 200 8. pregnancy. An additional 61 patients were excluded for the following reasons: wrong diagnosis, seen outside the time frame, or not seen in rheumatology clinic. The primary outcome was vaccination status and difference in vaccination rates based on location of PCP. Chi-square was used to compare categorical variables. Results: 193 patients met inclusion criteria. 89.2% were white and 77.3% female with a mean age of 70.15 yrs. (SD = 7.54, range: 60-98). 110 (56.7%) were Medicare beneficiaries and 44 (22.68%) were privately insured. Nearly all visits (97.9%) were follow-up visits. 73.2% had inactive disease. Of the 144 with internal PCPs, 30% were vaccinated vs. 8% of 49 with external PCPs. 12.4% of patients had a documented history of herpes zoster. 72% of patients were on MTX (4 pts on ≥ 20 mg) and 54.64% on prednisone (2 pts on > 10 mg). 27 (13%) of patients were vaccinated with 11 vaccinations given within the institution. Total vaccination percentage was 13.9% with 92.6% of the vaccinations appropriately given. Vaccination was addressed by the rheumatologist in 7.7% of patients. Conclusion: Patients with internal vs. external PCPs were about 4 times more likely to be being vaccinated based on documentation. There was no difference in vaccination status based on insurance, disease duration, age of patients, or history of HZ. Similar to prior studies, rates of vaccination in eligible RA patients continue to be low even in large academic centers. Interventions to improve vaccination rates must be further explored with focus on collaboration between PCPs and rheumatologists. Disclosure: A. Joglekar, None; A. Blaske, None; N. Annapureddy, None. Joglekar A, Blaske A, Annapureddy N. Identifying Barriers to Zoster Vaccination Rates Among RA Patients in an Academic Rheumatology Practice [abstract]. Arthritis Rheumatol. 2016; 68 (suppl 10). 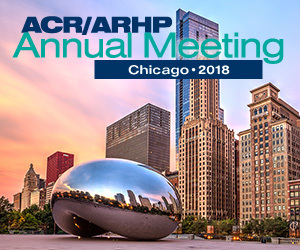 https://acrabstracts.org/abstract/identifying-barriers-to-zoster-vaccination-rates-among-ra-patients-in-an-academic-rheumatology-practice/. Accessed April 23, 2019.